XAML browser applications (XBAPs) combines features of both Web applications and rich-client applications. Like Web applications, XBAPs can be deployed to a Web server and started from Internet Explorer or Firefox. Create an HTML page that contains a hyperlink to open the deployment manifest, which is the file that has the .xbap extension. 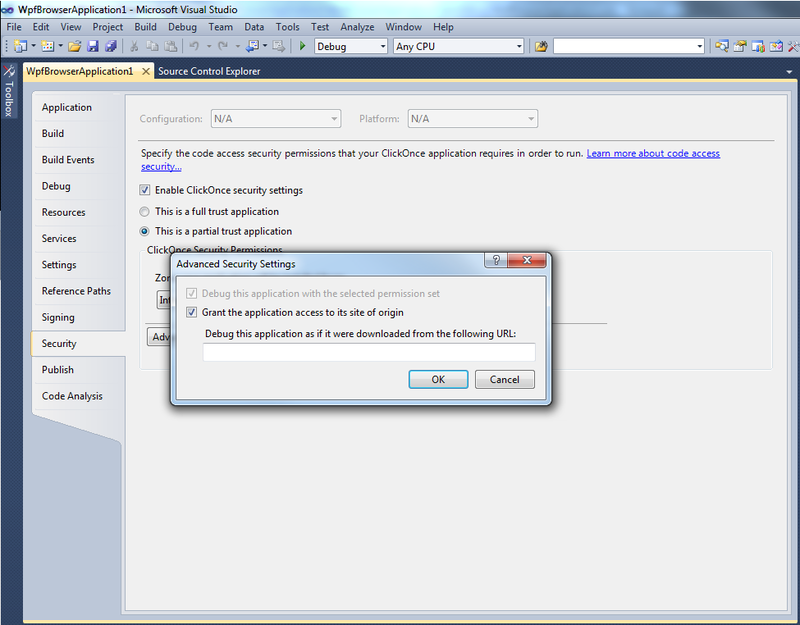 In Visual Studio, open the project properties. 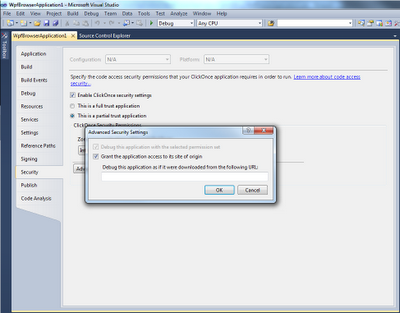 The Advanced Security Settings dialog box appears. Make sure that the Grant the application access to its site of origin check box is checked and then click OK.
On the Debug tab, select the Start browser with URL option and specify the URL for the HTML page that contains the XBAP. In Internet Explorer, click the Tools button and then select Internet Options. 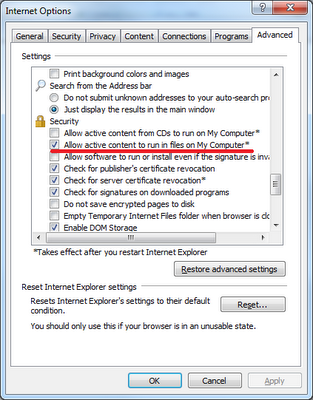 In the Settings list under Security, check the Allow active content to run in files on My Computer check box. by defualt BlogEngine is using XmlBlogProvider. therefore all data is saved in APP_DATA in XML files. create a Database in SQL Server 2005 or 2008. The appliction should be runnable now. 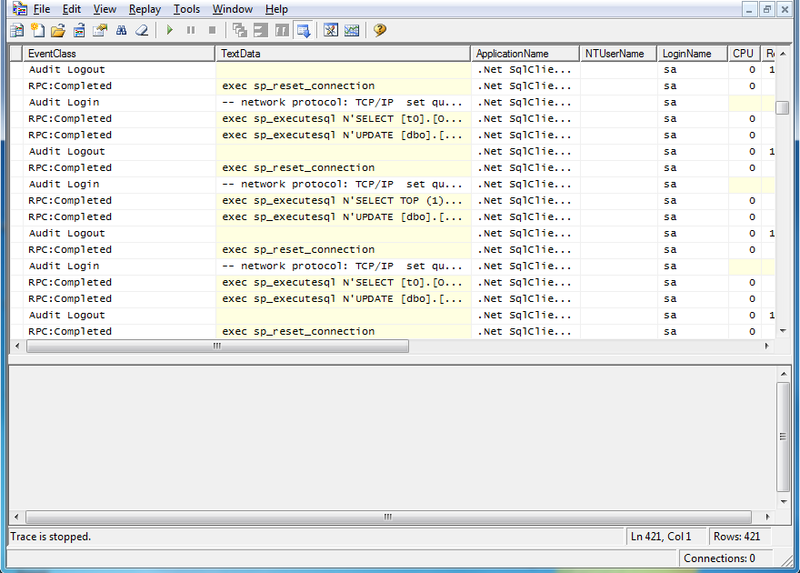 SQL Server Profiler shows how SQL Server resolves queries internally. 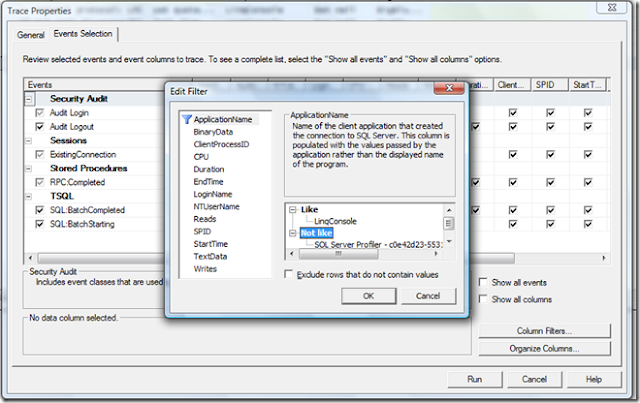 on Microsoft SQL Server Management Studio on Menus Tools-> SQL Server Profiler.